The National Women’s Hockey League announced today that their board has approved investment into adding two Canadian teams to the league. Toronto and Montreal are expected to have teams in the league once the new season starts later this year. In addition, NWHL commissioner Dani Rylan met with NHL commissioner Gary Bettman to discuss further contributions to the league Monday. 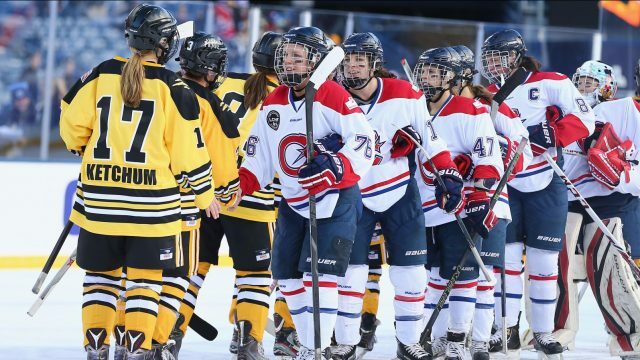 The NHL agreed to increase their contribution “significantly,” making the NHL one of the NWHL’s largest financial sponsors. While the NHL gave the Canadian Women’s Hockey League and the NWHL $50,000 each last season, the NHL’s contribution to the NWHL will be $100,000. The announcement came after the CWHL announced the discontinuing of the league over the weekend.